Oasis and the Victoria and Albert Museum are delighted to announce an exclusive capsule fashion collection – born out of our mutual love of print, pattern and colour. At Oasis, we’ve always been pioneers of print. We believe it has the power to tell stories and transform our moods. So we were delighted when the opportunity arose to join forces with the V&A and bring to life some of London’s most captivating 18th and 19th century prints. The collaboration is based around 11 beautiful botanical prints – all hand-selected from over hundreds in the museum’s archive, by the Oasis in-house design team. 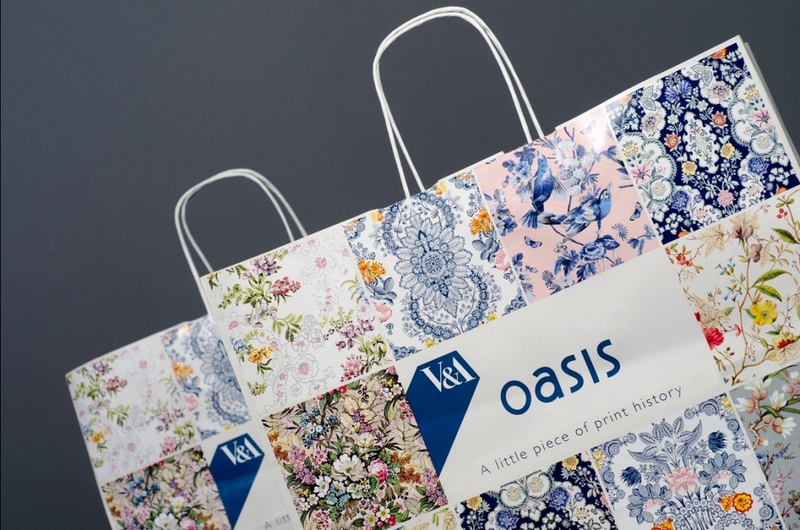 Along side this collection Oasis worked closely with Keenpac and launched the V&A kraft carrier bag which depicts some of the beautiful prints.